When an artist takes on a single name – think of Cher, Sting, Madonna, Bono – their real, full name tends to disappear. 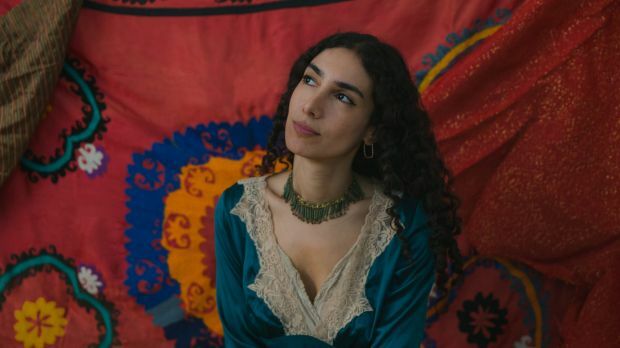 Musically interesting: Bedouine has reached back to earlier traditions in folk music. But when Azniv Korkejian took on Bedouine (a feminised version of Bedouin – the North African Arabic nomads) she found she still couldn’t avoid her full Armenian name. Everything written about her was prefaced by variations of “Azniv Korkejian, who makes music under the name Bedouine”. Just as The Undertones, who came from Northern Ireland, could never escape questions about the politics of “The Troubles”, so Azniv, who was born in Aleppo, Syria; grew up in Saudi Arabia; and won entry to the United States through the famous “green card lottery” (which is now in Donald Trump’s sights) can’t escape questions about her back story. She tells of an Armenian family who lived in Saudi Arabia until she was 10 years old. She was born in Syria because her mother returned to Aleppo to give birth. At the time Azniv’s father was the manager at an American compound in Saudi Arabia. So, Azniv spent the first three months of her life in Syria, has been back regularly to visit relatives, but for most of her life she has spoken “American” and been surrounded by Americans. Her views about Syria’s war are seen through the prism of that country’s Armenian minority. But when it comes to Trump’s immigration clampdown she has no doubt about the US hypocrisy towards Muslims. Although she is happy to talk about her country, she rarely allows politics to enter her music. “I don’t think I have a direct political agenda but there are a couple of songs that are reactions to things that are political,” she explains. “The song Summer Cold is the reaction I had to hearing that arms, which had been funnelled through by America, were getting into the hands of terrorists. What makes Aznif/Bedouine musically interesting is that she has eschewed both her Arabic/Armenian roots and the modern exponents of folk music and reached back, quite consciously, to early Leonard Cohen and Joni Mitchell, Nick Drake and, quite exotically, the great Astrud Girl from Ipanema Gilberto. “A lot of the older stuff I was digging into … really paying attention for the first time … I don’t want to call it the ‘golden age’ but I do feel that music focused more on the song writing and the melodies. “I think the opposite is true for more modern music. The production process has become more complicated. Artistically, I like it when most of the grunt work is done on the front end – in my case the actual song writing, the writing of the melodies, the writing of the lyrics – and then it tapers off. There’s not a whole lot of production work to do, not a whole lot of mixing to do. At points on the Bedouine CD the listener would be forgiven for thinking Aznif is channelling her heroes. Solitary Daughter sees her sounding like the early Leonard Cohen. On Louise, if you shut your eyes, you would swear Astrud Gilberto was in the room. The result, overlaid with strings which gives everything a subtle lushness and restrained sophistication, is a collection of songs that reaches reach deep into the complexities of the modern world.